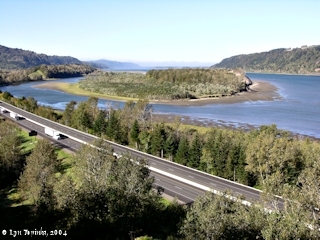 Click image to enlarge Cape Horn, Washington, as seen from the Bridal Veil Overlook, Bridal Veil, Oregon. Image taken October 11, 2004. 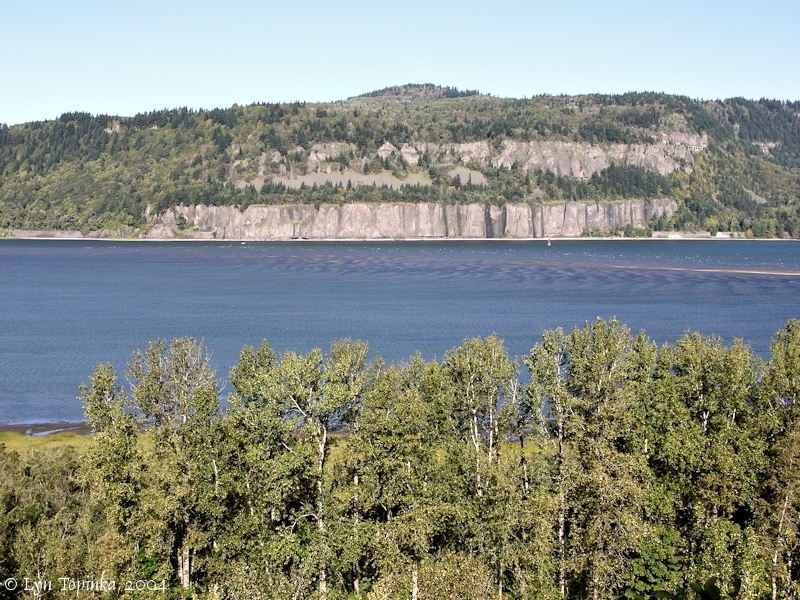 The Bridal Veil Falls State Scenic Viewpoint is a day-use park located above Bridal Veil Falls, and can be reached from the Historic Columbia River Highway. 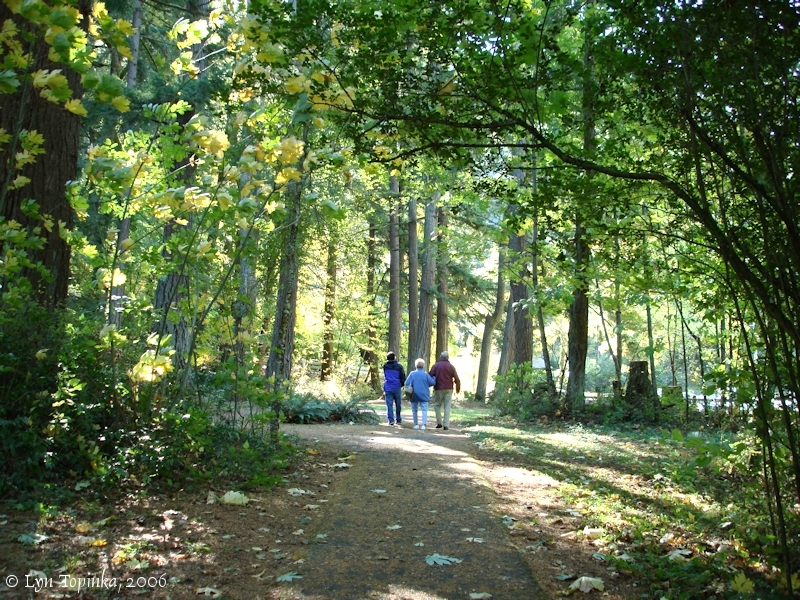 The park is part of the Oregon State Parks system and has picnic tables, restrooms, and trails to fantastic views. One trail leads down to Bridal Veil Falls while another loops to fantastic views of the Columbia River Gorge. 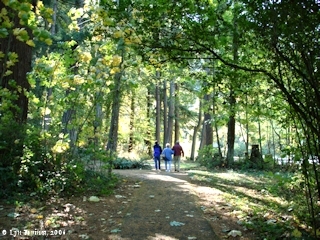 "Land was acquired by purchase from various owners between 1970 and 1984. It adjoins the site of the old Bridal Veil Timber Company operation. Beginning in 1886, the company employed a flume system to bring in rough cut lumber to its sawmill and the railroad at this location." Click image to enlarge Trail, Bridal Veil Falls State Scenic Viewpoint. Image taken October 21, 2006. 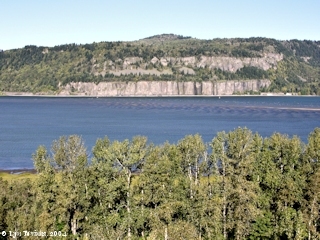 The 1/2 mile long Bridal Veil Overlook trail on the bluff above Bridal Veil Falls loops along the basalts and is a great place to overlook the Columbia River and see such features as Cape Horn and Cape Horn Landing, Crown Point, Phoca Rock, the remnants of the Pillars of Hercules, and Sand Island. Sand Island is located at the upstream tip of Rooster Rock State Park. 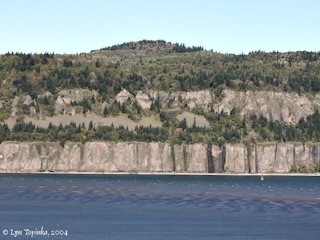 A nice view of Biddle Butte (also known as Mount Zion) can also be seen from the Bridal Veil Overlook. 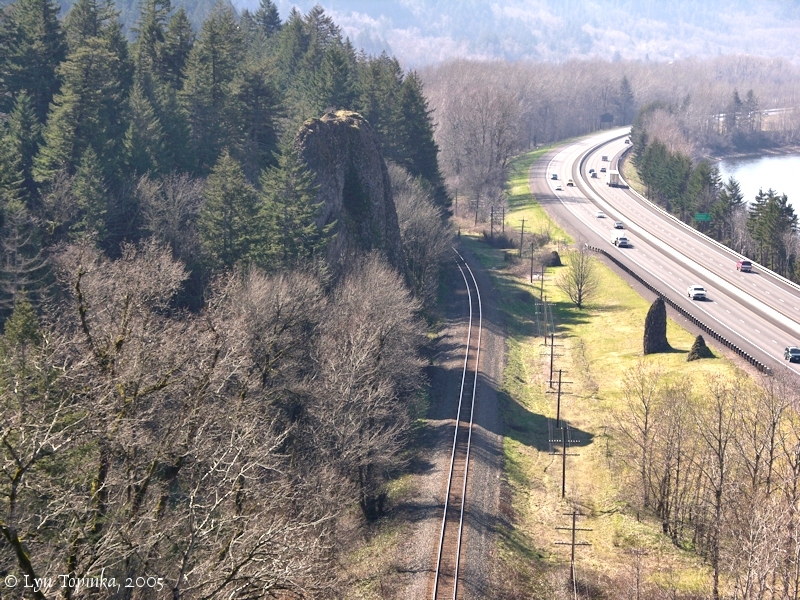 The upper trail at the Bridal Veil Overlook traverses the cliff overlooking the Columbia River Gorge, leading to great views of the Columbia. Native wild plants such as camas, lupine, bead lilly, trillium and bleeding heart line both sides of the pathway along the cliff. 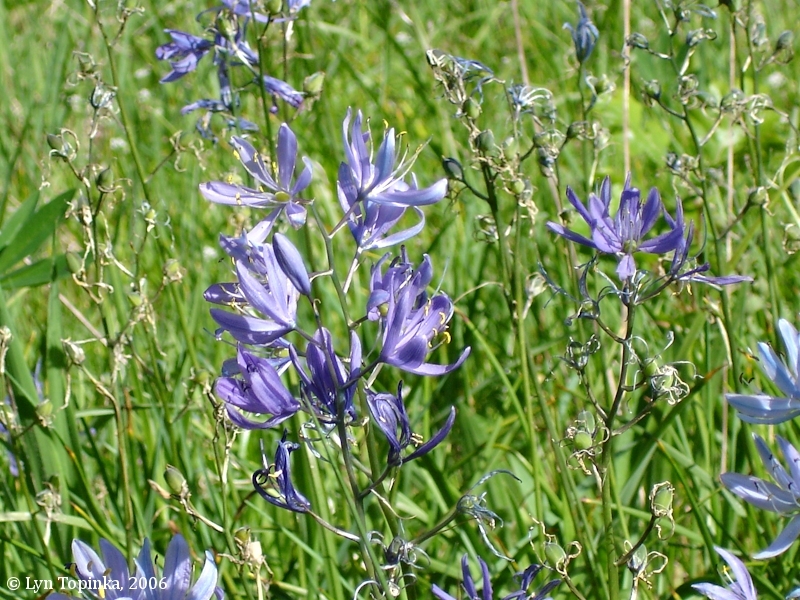 "Qua-mosh", "quamash", and "pashaquaw" were various ways the Lewis and Clark journals listed the Camas, scientifically known as "Camassia quamash", a term from the Nez Perce qe'mes". 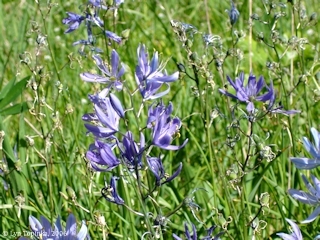 The Camas plant, a member of the lily family, was unknown to science before the Lewis and Clark journey. 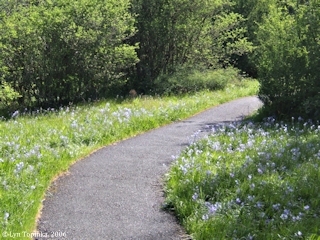 Click image to enlarge Camas at Bridal Veil Overlook, Bridal Veil, Oregon. Image taken May 10, 2006. "... In 1948, the Ellesson family purchased the historic Cliff House and associated property. 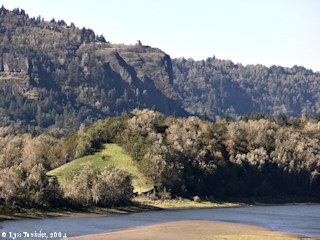 The Ellessons built a restaurant and motel where Bridal Veil State Park is now situated. The State of Oregon purchased the site for park purposes in 1969." Source: Clarence E. Mershon, 2006, The Columbia River Highway, From the Sea to the Wheat Fields of Eastern Oregon. The mile-long round-trip hike to Bridal Veil Falls is a gorgeous spot for Spring wildflowers. 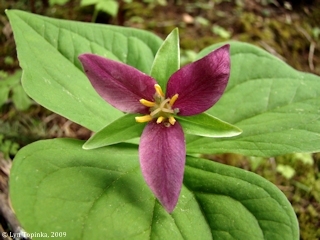 Click image to enlarge Trillium, Bridal Veil Falls Trail, Bridal Veil, Oregon. Image taken April 26, 2009. 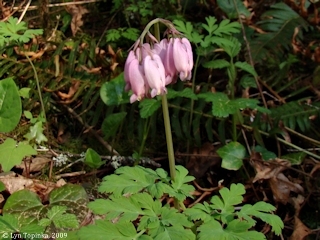 Click image to enlarge Bleeding Heart, Bridal Veil Falls Trail, Bridal Veil, Oregon. Image taken April 26, 2009. 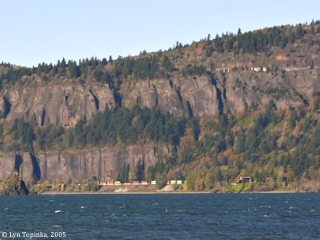 Click image to enlarge Crown Point as seen from Bridal Veil, Oregon. Image taken October 11, 2004. 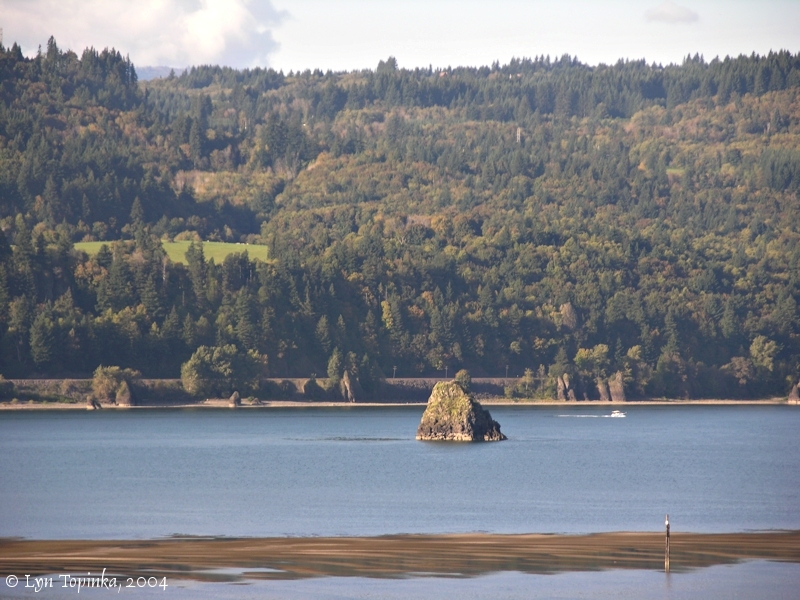 Click image to enlarge Pillars of Hercules as seen from Bridal Veil, Oregon. 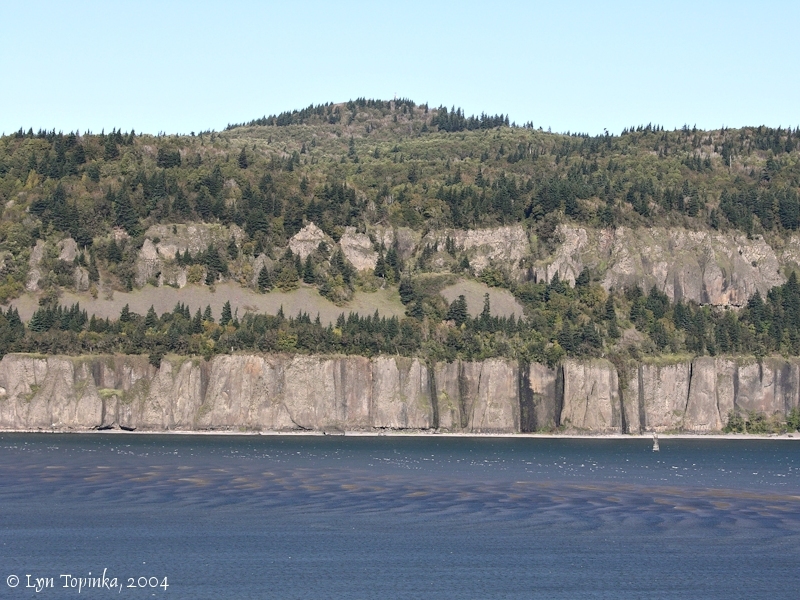 The 120-foot-high basalt Pillars of Hercules was one a training site for mountain climbing. Image taken March 6, 2005. 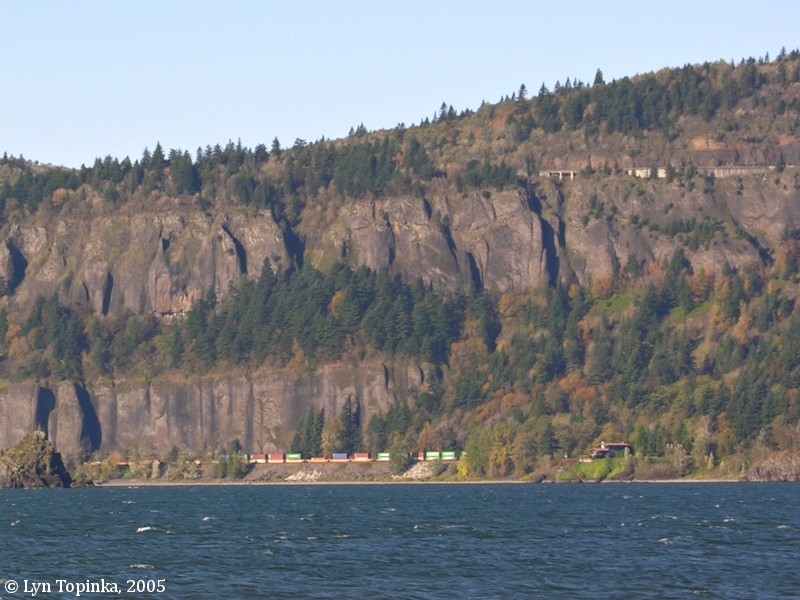 Click image to enlarge Phoca Rock as seen from Bridal Veil, Oregon. Image taken October 10, 2004.